Hen of the Wood Lands Another James Beard Nomination. How Do They Do It? A cast-iron skillet sits on red-hot coals pulled from the nearby wood-fired oven. Chef Jordan Ware, sandy haired with cheeks rosy from the heat, is about to cook an unusually large, locally farmed trout. The fish rests on a sheet pan, silver skin gleaming like chain mail. Ware tucks his thumb inside its gills to lift it, tail first, into the skillet. After a minute, he adds a knob of butter, a few cloves of garlic, and a bundle of rosemary and thyme. Above the oven and hot coals, a massive hood whisks smoke up and out of the building. Attentive passersby will catch whiffs of it as they walk down Cherry Street toward Lake Champlain. 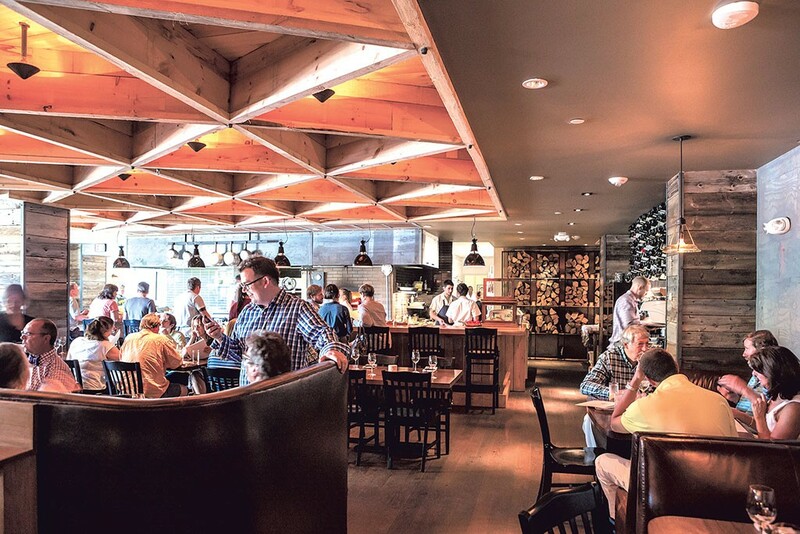 This is Hen of the Wood's Burlington location, which opened in 2013 as part of the boutique Hotel Vermont next door. If you consider this restaurant an extension of its namesake, which opened in 2005 and occupies an old grist mill in Waterbury, it's safe to call it the most renowned and awarded in the Green Mountains. Over the years, one Hen or the other has shown up in every major food magazine and the New York Times. 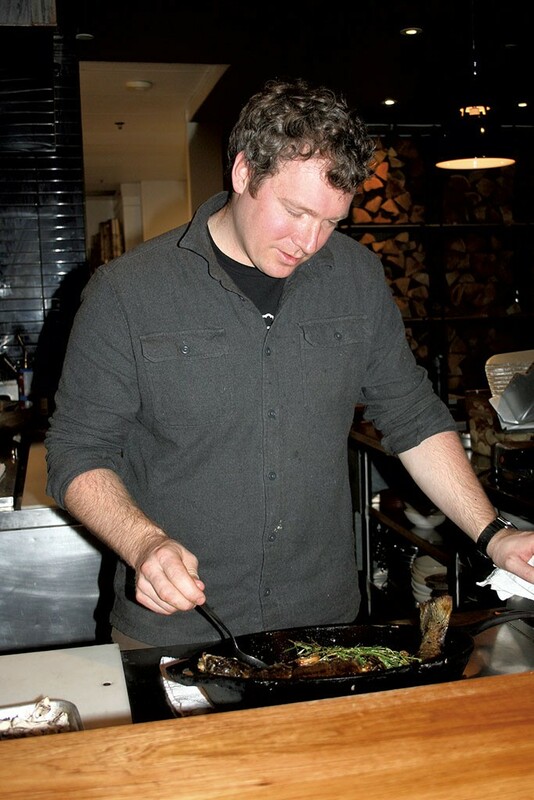 The business and its chef-owner, Eric Warnstedt, have been semifinalists for the James Beard Foundation's Best Chef: Northeast award (think culinary Oscars) seven times since 2009. That's quite a coup, considering that the contest pits Hen against businesses in Boston and Portland, Maine, as well as standout spots at ski resorts. In the same period, no other Vermont restaurant has garnered more than four James Beard nods. Is it a sign of changing times at the restaurant? Or a reflection of the status quo, given that Hen founder Warnstedt has already moved into a more administrative role? Along with his co-owner, William McNeil, he spends his days poring over paperwork and thinking about cash flow, employee benefits (which include health care, paid leave and a livable wage) and how to keep pace in an industry where profit margins are razor-thin. "That's a full-time job in itself," says Warnstedt, who has a calm, warm presence — notable in an industry full of adrenaline junkies. Meanwhile, Ware, 34, does the day-to-day job of menu planning and ingredient sourcing. He first worked with Warnstedt at Burlington's now-defunct Smokejacks, joined the Hen team in Waterbury in 2009 and is now moving toward overseeing the fare at both locations. 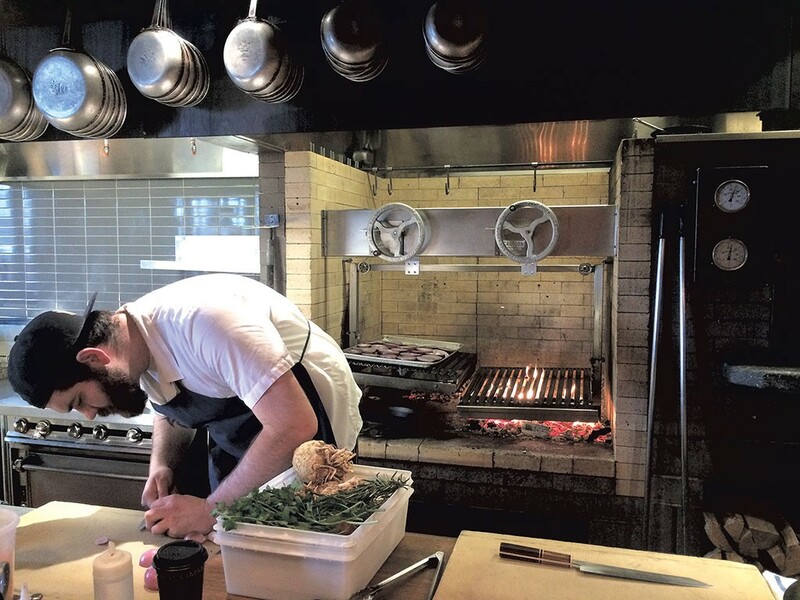 Like Warnstedt, Ware gives credit for both Hens' successes to the "very dedicated and hardworking staffers ... right down to our dishwashers we've had since the beginning." But the prestige of these linked Vermont restaurants has other ingredients, too: a well-timed expansion, a distinct culinary identity, and a knack for creative collaboration with both suppliers and those that might otherwise be rivals. The dual restaurants present a unique set of challenges. Each one has its own character: On a busy night, the Burlington location can feed up to 300 people, while the Waterbury restaurant maxes out at around 90. Staff tends to stay at the Waterbury location for years, treating the job as a career. In Burlington, there's higher turnover, in part because service starts earlier and lasts longer, and the pace can be grueling. Why didn't Warnstedt give the restaurants two different names to reflect those two different business models? Because, he says, he expects the Burlington location eventually to supplant the original one. In Waterbury, "We don't own the building," Warnstedt points out, and the grist mill has structural limitations he can't change. To preserve the positive word of mouth that Hen had garnered over the years, he and McNeil opted to spread its name around. The common appellation also reflects the culinary auteurship that links the two dining rooms. Just as a film buff can immediately identify a Wes Anderson movie by its pastels, or a music lover recognizes a favorite band after just a few chords, so avid eaters will taste the commonalities in the dishes at both Hens, even though each has its own menu that changes nightly. "There's a theme; there's a moral compass; there's a style," Warnstedt says. Take hanger steak, which shows up regularly in various incarnations on the Waterbury Hen menu. Right now, Burlington Hen is serving the flavorful cut with smoked sweet potatoes, highlighting that location's emphasis on using a wood fire. Both restaurants source their food from farmers who thoughtfully steward the land, a factor that Ware and Warnstedt say means more to them than whether a farm's beets come out of the ground the exact same size. While some Vermont restaurants have adopted a contractual way of working with farmers — they meet in the spring and agree to buy certain crops over the course of the year — Warnstedt opts for an on-the-fly method. "I'd rather just have them send me the list [of available products]," he says. "We'll pick stuff." There's logic behind that choice: For one thing, not every farm does every vegetable equally well. Ware cites the example of Half Pint Farm's sweet, summery cherry tomatoes, which are so stellar that he makes a certain dish only when they're available. An à la carte approach to sourcing also allows the chefs to react to farmers' needs. When Pitchfork Farm had an excess of winter pea shoots, the farmers gave Ware a good deal, and he was able to buy three pounds on the fly. They showed up on the menu the same night. Warnstedt actually thrives on having a reduced choice of produce: "I like to have the palette shrunk," he says. He'd prefer to have the farmers "tell me what they want me to buy." It's a testament to the quietly mission-driven part of the business and its commitment to supporting the local food system. Working with restaurants such as the Hens "is very important to us," says Beth Whiting, co-owner of Maple Wind Farm in Huntington. "These are restaurants that are changing their menus daily or weekly, and they're listing our name on the menu ... so customers who dine there can make the connection and go find the chicken at City Market. It's a nice loop for us." In addition, she's grateful for the "amazing attention to fine foods and appreciation of the farmers they do work with." Warnstedt and Ware describe their James Beard semifinalist status as a testament to the farms they buy from, the "strong crew" and Vermont as a whole. And, of course, they're pleased with the recognition. "We want to keep the restaurant busy, and awards are a positive thing," says Warnstedt. Both chefs are especially excited about Hen's part in keeping the Queen City on the map for food enthusiasts. Warnstedt and Ware have ties to many of Burlington's chefs and restaurateurs, and they say they hope out-of-staters who see Hen as a dining destination will come to town and eat at all of the great restaurants. "This is good for Burlington as a whole," says Ware. On an unseasonably warm Friday in February, as fat raindrops start to splatter the Burlington sidewalk, Warnstedt stands just inside the Hen door in deep conversation with Doug Paine, chef of neighboring Juniper and Bleu Northeast Seafood. In the Hen dining room, leather couches and dim lighting create a clubhouse feel. The two are discussing how they can help wine expert Jason Zuliani and his team, who recently opened Dedalus Wine Shop, Market & Wine Bar on Pine Street, pull off a private tasting dinner. The watchword in this circle, it seems, is that chefs who play together get paid together. Inside, in the kitchen, a cadre of cooks are prepping for dinner. One whisks up tarragon aioli to slather on roasted potatoes. Another cuts shallots and celeriac, perhaps for a dish of pork loin with buttered celery root, rye spaetzle and pickled apple jus. 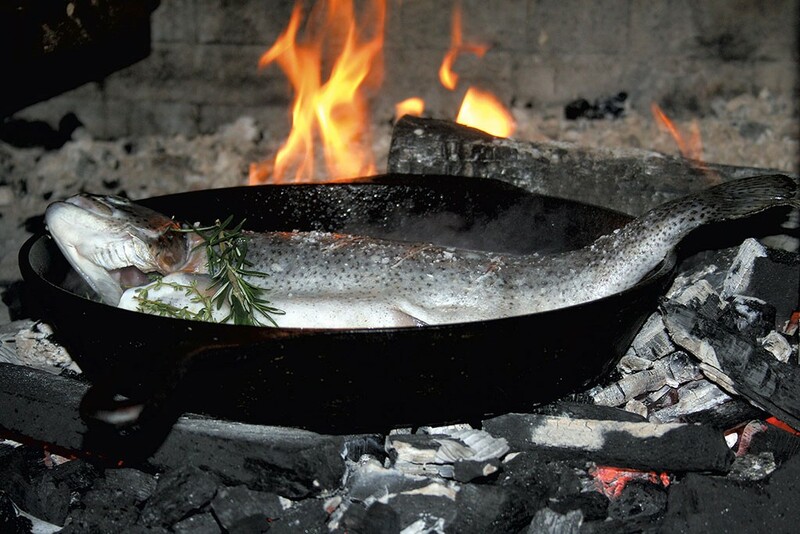 Ware removes the trout from the coals and bastes it with browned butter, then stows it, sizzling, back in the oven. When the fish is done, he places it on the bar in front of me and drops three forks nearby. The skin is crisped and brown, the garlic cloves tender, yet somehow the herbs are still bright green. Warnstedt, Ware and I stick in our forks and twist out gobbets of tender, fatty flesh. For the first time since I walked in, the room is quiet. We eat, we smile at each other, we marvel that this fish came from a farm in Vermont — who would have thought? — and then we hold back so other Hen staff can have a chance to eat, too. Awards and glory aside, moments like these are what it's all about. The original print version of this article was headlined "They're Cooking"